Champions Trophy is an ODI series organized by International Cricket Council in every 2 years, first initiated in 1998. Later it has been changed to ICC KnockOut tournament and was played with 8 teams since then. Now, top 8 teams on the points table participate in champions trophy which is a 50 over cricket tournament. It is categorized into two groups and top 2 teams from each group reach to semi-finals and then play finals for the Champions Trophy Cup. There was a big controversy going around, that India playing in Champions trophy because it had misunderstandings with the ICC. Later, the new board of members decided to play the trophy keeping all the misunderstandings aside. The spat was regarding the distribution of Annual income to the member countries. India being a rich board and drives a lot of income to the ICC, it demanded a high pay as it is already getting good money till then. But all the other board members voted against India, which was not tolerated by the BCCI (Board of Control for Cricket in India). Eventually, BCCI decided to play the champions trophy as it did not want the Indian fans to get disappointed. All the squad members had done well in both domestic and international cricket in past two years. Particularly, Virat Kohli is a shining star in the team and being a captain he has additional responsibilities as it is the first international tournament for him as a captain. Recently, after the retirement of Dhoni from both ODI and T20 teams, Virat had unstoppable wins registered to his name. His aggression in the field is always a nightmare to the opposition. Team India has been exceptional since past 2 years and the ratio of win is to lose is 80:20 percent respectively. The figures are tremendous so as their performances, Virat being the highest run-getter all the season. Along with Virat, there are senior players like Dhoni and Yuvraj Singh, who can displace the ball miles into the crowd. Dhoni had the experience of winning Champions Trophy last time will really Virat to bring back home the trophy once again. King Kohli can get a good sleep on a Centuary Mattress, to let go the stress and have a strategic planning for the match. Both Dhoni and Yuvraj were 2011 world cup heroes and know very well how to bang the ball under pressure. Their expertise in the game can help India bag the ICC Champions Trophy for the third time and second one in a row. India is currently no 1 ranked test team in the world but very inconsistent with their performance. Indian team needs to improve upon their consistency and maintain that winning streak going and bagging champions trophy bag to where it belongs. Hope the clash between ICC and BCCI doesn’t affect the Indian team and they can finish the tournament on top of the table winning the trophy. 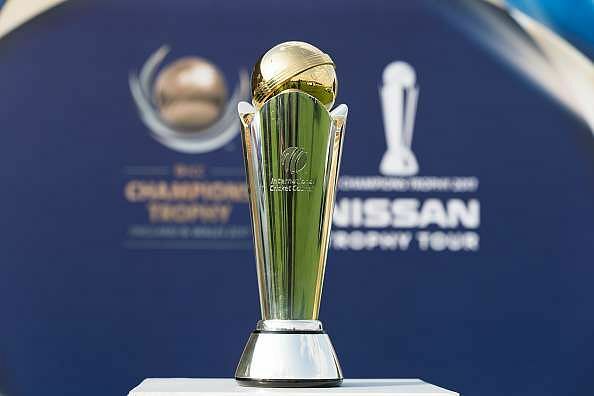 Champions trophy is going to start from June 1st and the epic battle between two rival nations is on cards, the great India and Pakistan clash in the Champions Trophy. Hope India wins the match and concludes the match, winning the Cup by sweeping all the other opponents. No matter of winning or losing, Indian supporters will always support team India in all their goods and bads, ups and downs. 8 nations competing for one cup and may the best will win the trophy.